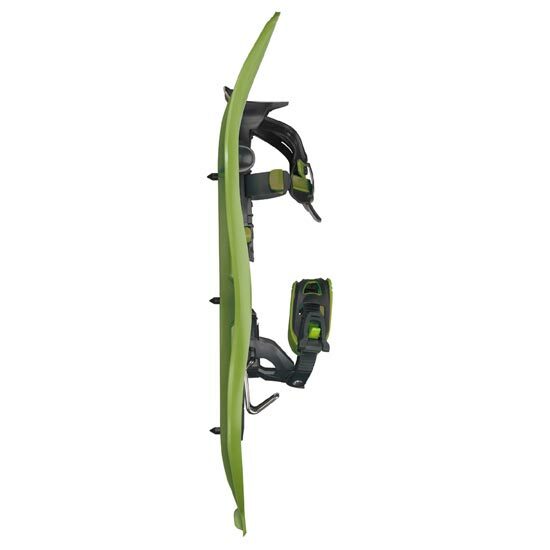 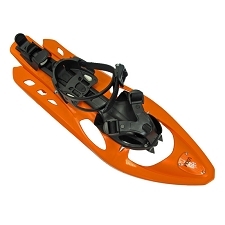 The TSL 325 Ride snowshoes are supple, fast and efficient. 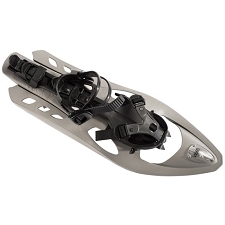 Featuring the new front Flex tightening system, they are the perfect shoes for entry−level trails. 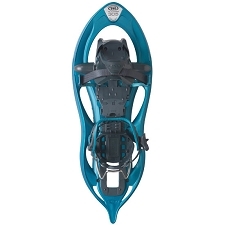 The flexible binding provides a high level of foot flexibility, while the hourglass design ensures a natural and comfortable walking position. 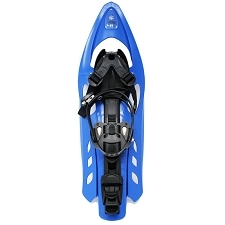 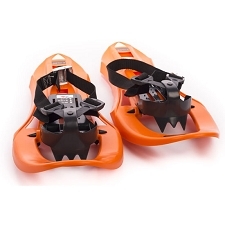 3D design with a front claw and 6 crampon spikes grip on both the ascent and descent. 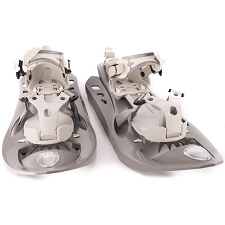 Lock adjustment memorizes your shoe size for all your excursions and a lateral adjust offers greater comfort and accepts any width of shoe, while the ankle pre−adjust allows you to centre the comfort PAD on your instep and permanently set its position. 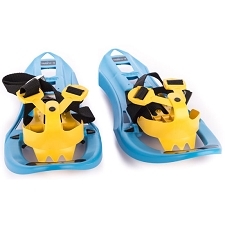 Sizing from 37 to 50. 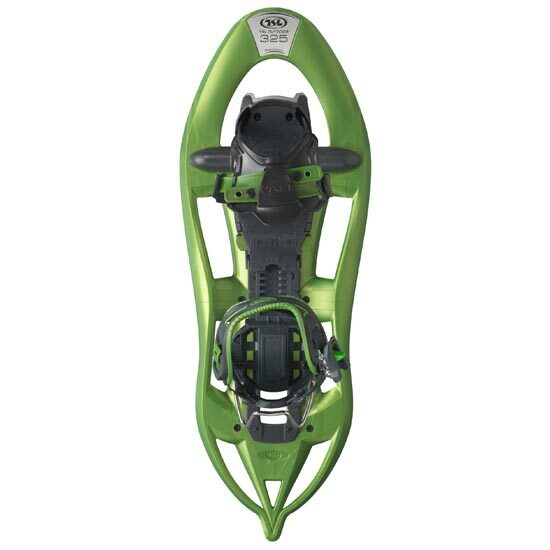 Recommended user weight: 50−120 kg.